Clear sky for many locations this morning. Some isolated convection is expected today producing some spotty thunderstorms, but a vast majority of the area will stay dry. 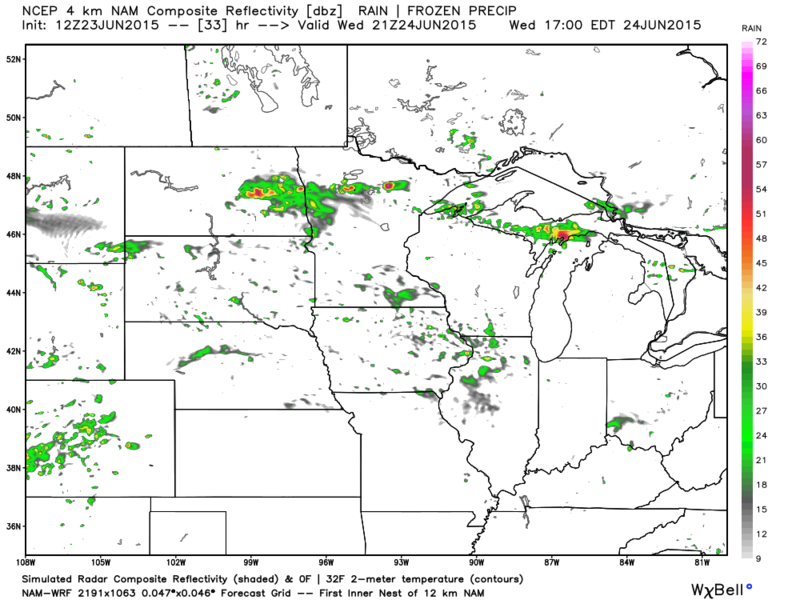 What storms do flair will generally be in western North Dakota. But that same disturbance will also bring a wider threat of rain/thunderstorms on Wednesday. Another wave will form tomorrow and is expected to be in eastern North Dakota and western Minnesota tomorrow late morning through afternoon. 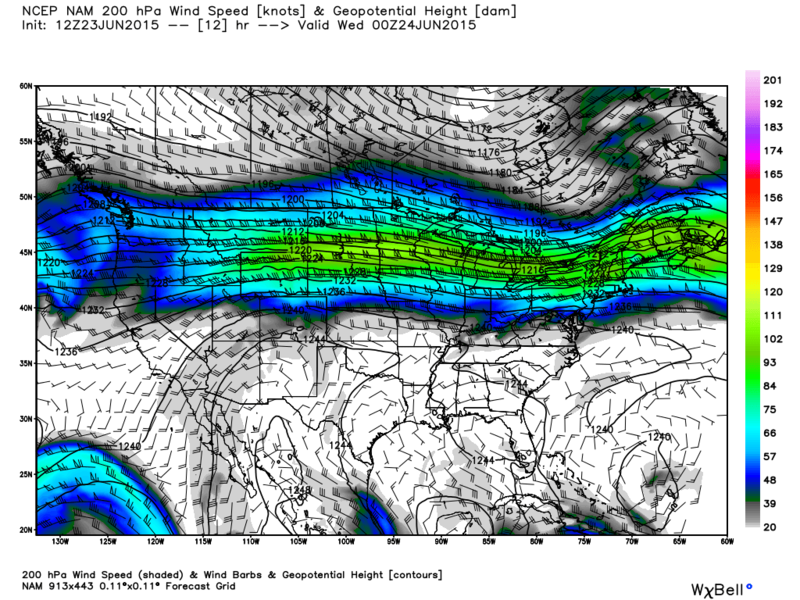 Beyond tomorrow the jetstream will transitions from a nearly zonal (west to east) flow to a more northwesterly flow the rest of the week. 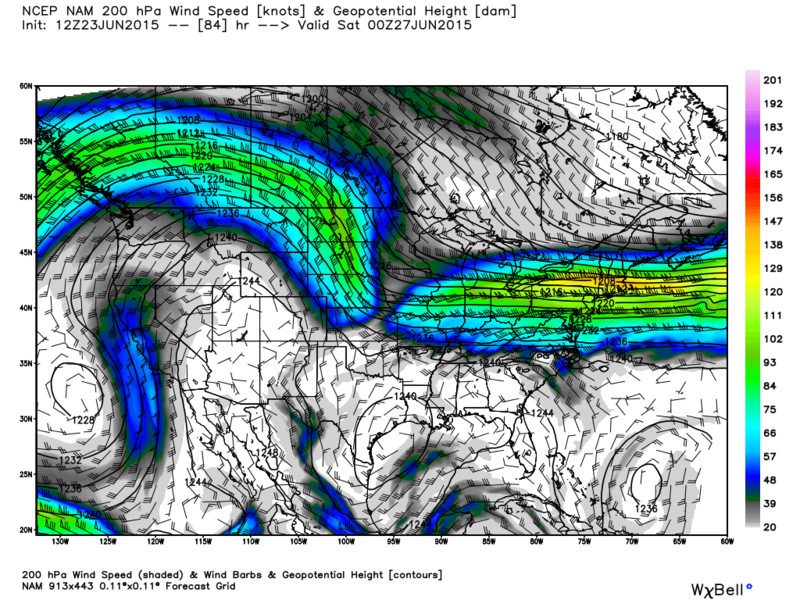 This transition of a western USA ridge and eastern USA trough looks to be a feature that will have staying power. That western ridge that will likely produce near record heat from Washington to Montana will also allow above average temperatures over North Dakota and northwestern Minnesota. Western North Dakota will be under the influence more so than the east, but above average temperatures for all nevertheless. Therefore next week looks to be bringing 80s to eastern North Dakota and upper 80s to mid 90s in the western portion of the state. 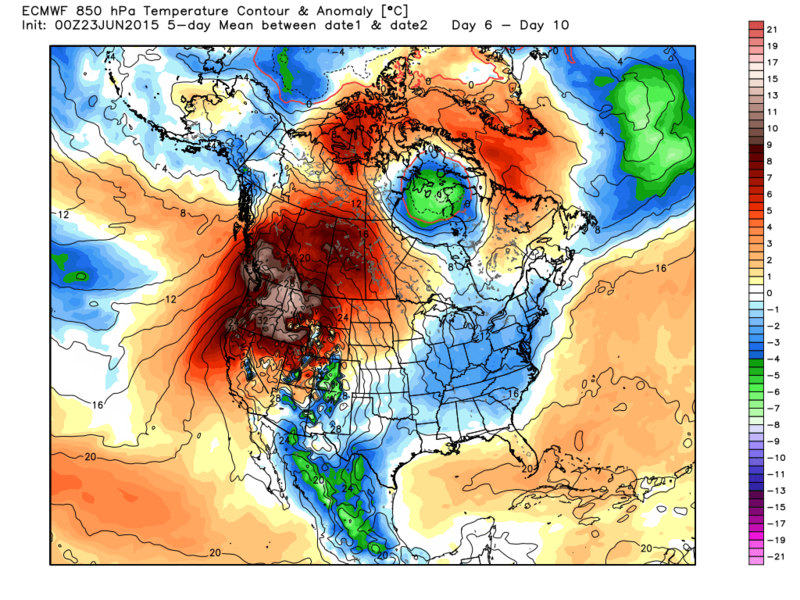 Montana could record some 100-105 degree days east of the Rockies. A northwest flow tends to be a dry pattern for the region, so any thunderstorms (it is summer they will still happen) will tend to be isolated to widely scattered with a tendency not to produce high amounts of moisture. So overall, a pattern that will be welcomed for crop development.